Time Team presenter Tony Robinson has attacked the Government’s decision to give the go-ahead for a 1.8-mile road tunnel near Stonehenge. He described the project as “the most brutal intrusion into the Stone Age landscape ever” and accused the Department for Transport (DfT) of paying “no attention at all” to the importance of the Wiltshire monument. Government heritage agency Historic England, and the National Trust and English Heritage, who manage the stone circle and its surrounding landscape, welcomed the announcement. The A303 is often gridlocked near the landmark, causing frustration for holidaymakers heading to and from the South West and disrupting visits to the site. The road is to be put into a dual carriageway tunnel with a £1.6 billion upgrade by Highways England. Transport Secretary Chris Grayling said: “This Government is taking the big decisions for Britain’s future and this major investment in the South West will provide a huge boost for the region. The tunnel will closely follow the existing A303 route but will be a further 50 metres from the monument. DfT officials claim it will avoid important archaeological sites and will not intrude into the view of the setting sun from Stonehenge during the winter solstice. Thousands of individuals and organisations responded to a public consultation on the plans earlier this year. 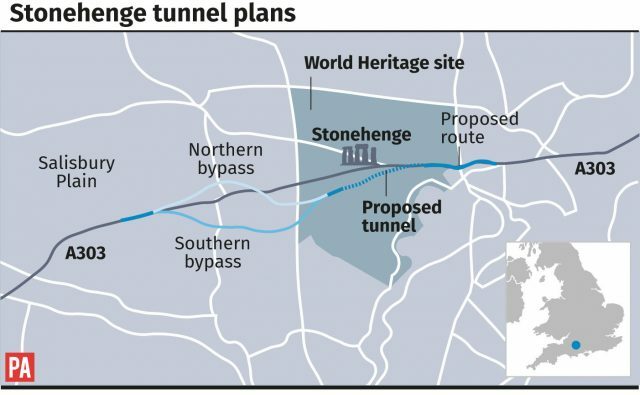 Opponents are concerned the scheme, with a tunnel past the stones that would emerge within the World Heritage Site and a bypass to the north nearby Winterbourne Stoke, will damage the wider archaeology and environment. Robinson told the Press Association he had been “pretty sure” the plan was going to be rejected as the arguments against it were “coherent and unanswerable”. He said: “Archaeologists have understood over the last 10 to 15 years that Stonehenge isn’t a monument, Stonehenge is a landscape. “Unesco understood that, which is why they made the area into a World Heritage Site. “What’s happened is that the Department for Transport is literally driving a thousand coaches and horses through the World Heritage Site. Highways England chief executive Jim O’Sullivan said the A303 has suffered from congestion for many years and the scheme will “enhance, protect and restore tranquillity” to Stonehenge. 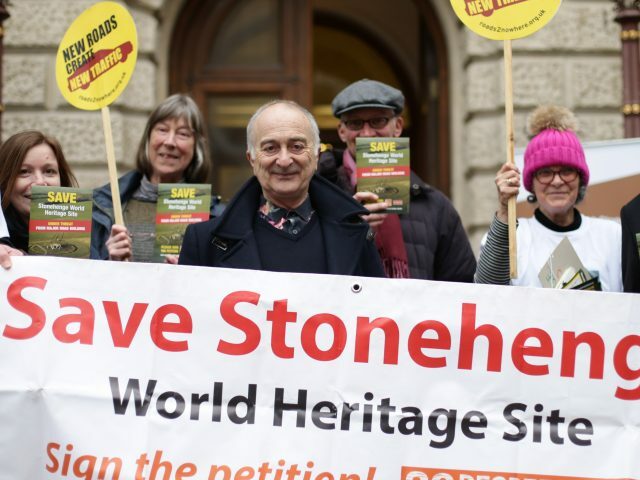 The Stonehenge Alliance, which is supported by environmental and heritage organisations, said the plans would cause “severe and permanent damage” to the archaeological landscape of the World Heritage Site, in direct conflict with international advice to the Government. Kate Fielden, of the alliance, said: “We are shocked at Highways England’s indifference to Unesco’s advice.